Ginto is advertised as an izakaya and sushi bar and is part of the Tokyo based Rama restaurant group that runs over 150 restaurants mainly in Asia. Izakaya are usually small casual pubs, but Ginta has taken the concept of an izakaya menu and applied it to a cavernous 200+ seat upscale restaurant. 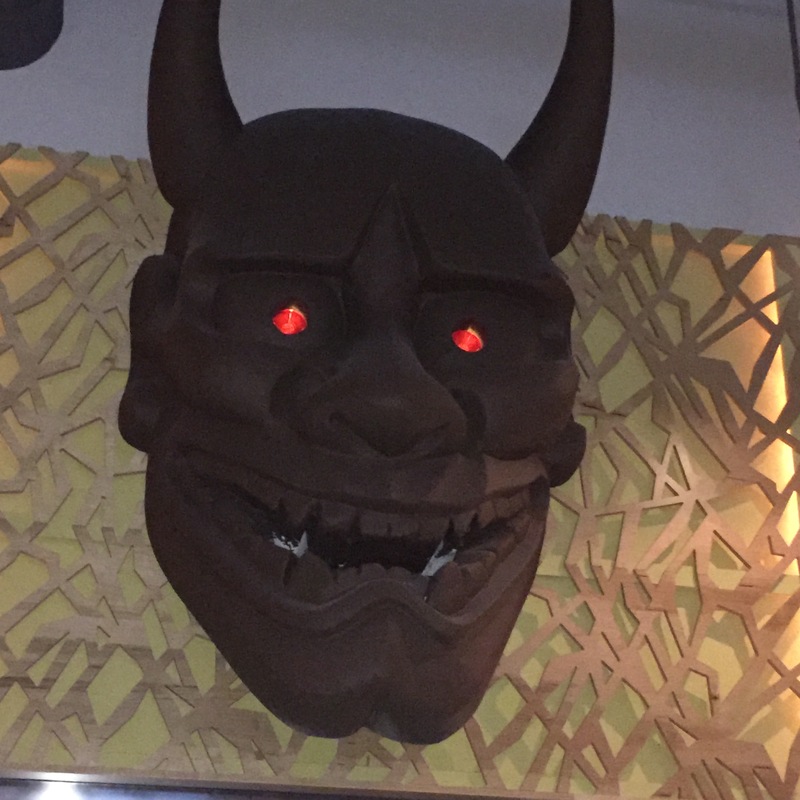 The interior of Ginta is moodily lit and decorated with large abstract wire bird cage like structures hanging from the ceiling and three giant kabuki style masks above the open kitchen. We got there pretty early for dinner and the service started out fine, but the two waitresses were quickly overwhelmed as the place filled up. Settling up and paying our check took an eternity. Their tonkatsu ramen has an excellent broth but seemed like it had 50% more noodles than it needed, rather than being a soup with noodles, it was more like a bowl of very wet noodles. However their Ohitashi, blanched cold spinach with dashi-shoyu broth, was exceptional. While I had some good food there, I found the place pretty sterile and corporate, I prefer my izakaya to be more like a neighborhood pub. The Dumplings: Ginto only has one dumpling option, the Takoyaki. They must have been running their tako-pan super hot because the outside of the takoyaki were really crispy and almost burnt colored, while the batter inside the outer shell was smooth and richly creamy. The dish comes minimally dressed, with just drizzles of Worcester sauce and Japanese mayo. I prefer my takoyaki to be served with the full monty of drizzles of sauce and mayo, a thick carpeting of bonito flakes and a sprinkle of nori dust. But while this was a minimalist approach to takoyaki, I did enjoy it. The Location: Ginto is on Market Street, near where Geary and Kearny hit Market, in San Francisco’s financial district. 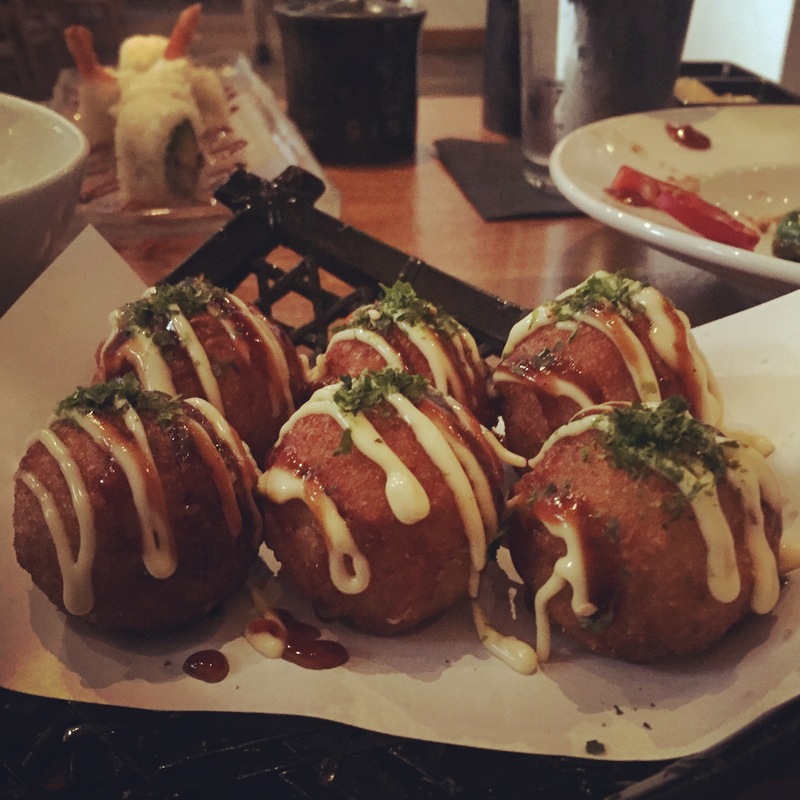 This entry was posted in Japanese, San Francisco, Takoyaki. Bookmark the permalink.